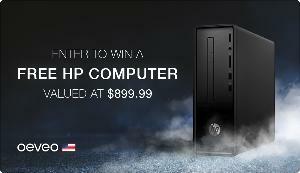 Prize: 2018 HP Slimline Premium Desktop worth $899.99. What you must do to enter: 1.) Like & share the post. 2) Take a short survey. Statistics: This contest was opened by 160 and entered by 22 ContestChest.com members. 14% of those who opened the contest, entered it.